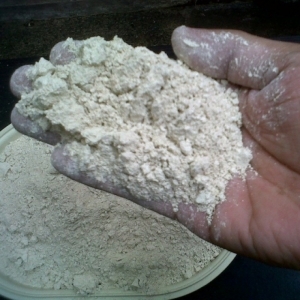 I recently went hunting (through the Internet Jungle) for high quality and reasonably priced Diatomaceous Earth powder/flour. Until now, all the D.E. I’ve purchased was in the USA, where it is relatively cheap. I would buy it on Amazon.com — where it’s cheap and has free 2-day shipping (for Prime account holders). When I first started looking for D.E. in New Zealand, a few years ago, it was often selling for over $30 per kilo. It’s basically a cheap industrial product with relatively low costs of production, so prices like that are somewhat ridiculous. Diatomaceous Earth in New Zealand is now a lot cheaper than the $30+/kilo days (although there are still companies trying to sell it for those high prices). What about the quality? The main brand of food-grade, fresh-water D.E. I see selling at a reasonable price in NZ is Perma-Guard. It comes from Utah, in the USA. It’s a reputable brand, and of high-quality. The main thing you want to watch for is that the D.E. is from a fresh water source, and has ultra-low levels of crystallised silica. You want as much of the silica in your D.E to be in an amorphous form (meaning it is water soluble) as is possible. The best price and quality I found for Diatomaceous Earth in New Zealand is sold by 3J Organics. You can find them here on Trademe.co.nz. At the time of writing this, they sell 2.5kg for NZ$17.50, including NZ-side shipping. That’s a very good price. They source their Diatomaceous Earth from the same mine in Northern Australia that supplies the folk at Diatomaceous Earth Online. So all the info on their web site is applicable to this D.E., and 3J Organics also provide lots of information on the D.E. here. I’ve been in communication with the owner of 3J Organics, and he comes across as someone with a genuine and heart-based interest in health, well-being, the environment, and Life. According to their literature and Certificate Of Analysis, it has undetectably low levels of crystallised silica, is low in heavy metals and other pollutants, and is high in amorphous silica. If you particularly want the US based Perma-guard brand of D.E. in New Zealand, the best price I found is again on Trademe, from this seller. At the time of writing this, it is effectively the same price. $21 for 3 KG including NZ-wide shipping, which comes to $17.50 for 2.5 KG. Are you not familiar with D.E. and it’s many uses and benefits? If that’s the case, I highly recommend spending some time to research it online. It has a lot of uses, including internal ingestion for the elimination of certain parasites, for detoxification, and as an all-important silica supplement. If you have chickens, I highly recommend including food grade D.E. in your chicken feed, for healthy, strong, and long-laying chickens. But it really has so many uses, it’s worth researching it. There’s no point me repeating in this article what is already thoroughly written about elsewhere. Here’s a very informative book on the many benefits and properties of Diatomaceous Earth. Well worth reading, if this is a topic that interests you. Is that the same as as Zeolite? Zeolite is formed from volcanic clay and ash. D.E. is form from diatomes… a form of hard shelled algae. 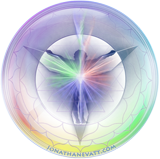 Another superb posting Jonathan. I am at present upgrading http://www.ourplanet.org that will have GreenplanetFM elegantly spliced into it. I will be having a special blog area for people such as yourself, who will add both intellectual rigour and spiritual depth as well. When the site is up, would you consider placing any blogs that you post there as well as a link back to you web site.? I want to cross pollinate at another level. Is this this same clay I got from you??? Hi Mary. I don’t recall that you got clay from me. There are, however, a few “clays” (or clay-like substances) I made use of. Diatomaceous Earth, Bentonite clay, and Zeolite (clay-like powder). This has been one of the things I have been meaning to investigate, so this popping up in my newsfeed is excellent thanks!